Should Sports Studio Instructors be DBS Checked? Home > Ask Our Experts > Should Sports Studio Instructors be DBS Checked? My 10 year old son attends a full time karate studio & I along with other parents would like to know if the staff at the karate studio have an obligation to be DBS checked? The classes are in groups 4-7 year olds & 7-70 year olds, in any one class there can be up to 25 students whether it be children or adults. Today we hear more and more about people in positions of responsibility being DBS checked. To answer this specific question, it may first be helpful to outline what a ‘DBS check’ actually is and who it is designed to protect. The DBS, Disclosure and Barring Service, was formed in 2012 by merging the functions of the Criminal Records Bureau (CRB) and the Independent Safeguarding Authority (ISA) under the Protection of Freedoms Act 2012. It exists in order to collate information on which individuals may have a criminal record and to allow the public and organisations access to this information. The DBS is able, therefore, to provide evidence of a clear record for people who have been asked to apply for a DBS Disclosure or ‘police check’ and also ensure organisations are employing people who do not have a criminal record in this country. Up until a few years ago, police check information was only accessible to organisations whose staff had ‘substantial unsupervised access’ to children. However, it was recognised that there were all kinds of other groups and organisations where there could be similar contact with vulnerable groups for whom checks were unavailable. As a result, in 2002, the CRB (now the DBS) was established to extend this service to other groups such as church Sunday schools, youth groups, parent-helpers at schools, children’s activity group workers, foster carers and so on. A studio sports instructor would also fall within such a group if they were working with children and/or vulnerable adults. 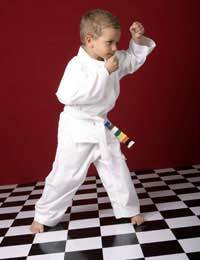 Since the karate instructors at your son's studio is working regularly with children and also the elderly, it would be advisable for them to have been checked. Today, having a DBS check carried out is seen as good practice for employers and the possession of an up-to-date report is an attribute for an employee’s CV. If the studio sports instructor is employed by the karate club, they may be asked to apply for a DBS check. Sports Coach is one of the sectors that the Home Office include in their list of jobs which might bring staff into contact with vulnerable members of society and as such their employers would be following an advised code of conduct to ask for a police check to be carried out. Who Can Apply For a DBS Check? If the karate coaches are employed or about to be employed as a studio sports instructor, the company will apply on their behalf, but if they are self-employed they can only apply for a DBS check through an agency, if they have used one. If the coaches are working in a voluntary capacity (for instance as a sports instructor for a children’s after-school or holiday club or as coaches for individuals who show promise) and are not being paid for their work, the organisation or charity will be able to apply for a check for the coach free-of-charge. How to Run a Respite Care Programme? Youth Club: What are Legal Child to Adult Ratios? Can a 17 Year Old Look After a Child? What Kind of Qualifications are Needed? Start a Creche from Home? DBS Checks are carried out - and must be carried out - for anyone who wishes to work with children. If your daughter is attends a music school/ music lessons, then the school/instructors are obliged to tell you whether their instructors have been DBS checked. As secretary for our village lake I run a small fishing club with the local school 8-11 year olds we have 10 members and 5 waiting to join what are the requirements now relating to CRB checks for the instructors,we try to get 1 instructor per 2 children and it is for 1hr per week -parents and friends also attend. We are all CRB checked but have the requirements changed?